The most versatile tops can work well with others or go alone. I love a top that adds interest under a jacket or cardigan but also has the ability to stand alone. 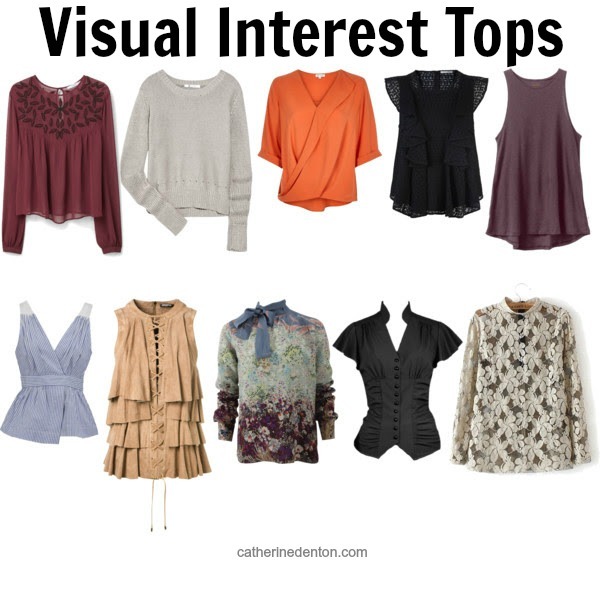 The best tops for this are muted ones with eye-appealing textural fabric or fascinating cuts. Understated simple elements add pizzazz to every outfit without taking the spotlight off it's subject ~ YOU! Which one of these tops would fit seamlessly in your closet?